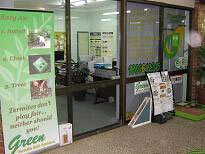 Do you want to work for the best pest control company in South East Queensland? Due to the unprecedented growth of the Green Termite Bait System we are consistently on the look out for enthusiastic and talented pest control professionals to join our friendly team. If you are looking for a rewarding career with a variety of interesting work we would like to hear from you. We are currently seeking a licenced technicians with timber pests included on their licence for our Brisbane, Logan, Gold Coast and Sunshine Coast areas. You must be a self starter capable of working from home. Experience preferred. We offer a salary well above award rates in the industry. A modern air-conditioned company vehicle is also available. Our staff are a truly professional team with a great team spirit. Every member enjoys good camaraderie in and out of the work environment. There are no slackers, just dedicated professionals with a desire to deliver the best service they can for every customer they come in contact with. Work is a lot easier when there is a good atmosphere in the company, and this is what we have achieved. Preference is given to applicants with proven experience in all areas of pest control. Fully licensed operators who hold Certificate II or III in Urban Pest Management are especially needed. Consideration is also given to non-experienced applicants who can demonstrate excellent people skills, attention to detail and a keen willingness to learn. We are looking for people of all ages, especially 40+. Ethnicity is no barrier as we are very much an equal opportunity employer.